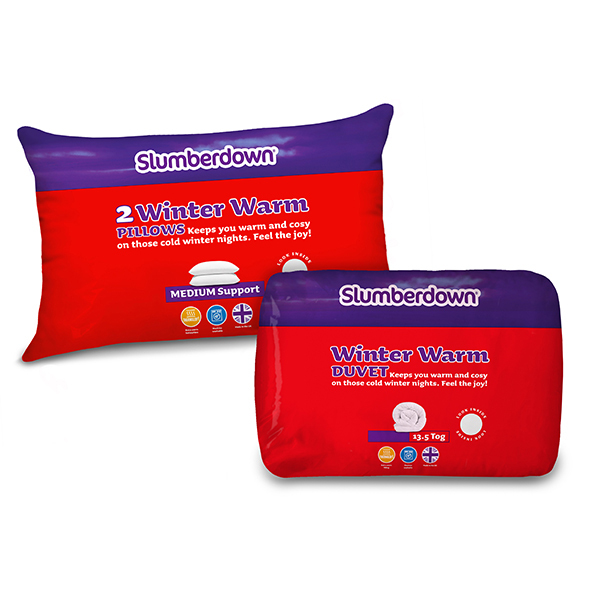 Stay snug as a bug with the soft Winter Warm 13.5 Tog Double Duvet. Made with hollowfibre filling, it gently moulds to your contours, so it moves with you instead of restricting you whilst you sleep, giving you the freedom without compromising on warmth. This lightweight duvet is also made with easy care cotton, which is fantastic at recovering its shape after it’s been washed. This ultra-soft, cosy pair of pillows is perfect to match your new duvet, as it’s also designed to keep you warm when the chills settle in. The microfibre cover offers support whilst being beautifully soft for supreme comfort. Easy care, machine washable up to 40°.